(CNN) A man who fell in to an industrial meat grinder was apparently one blade swipe away from a fatal injury. 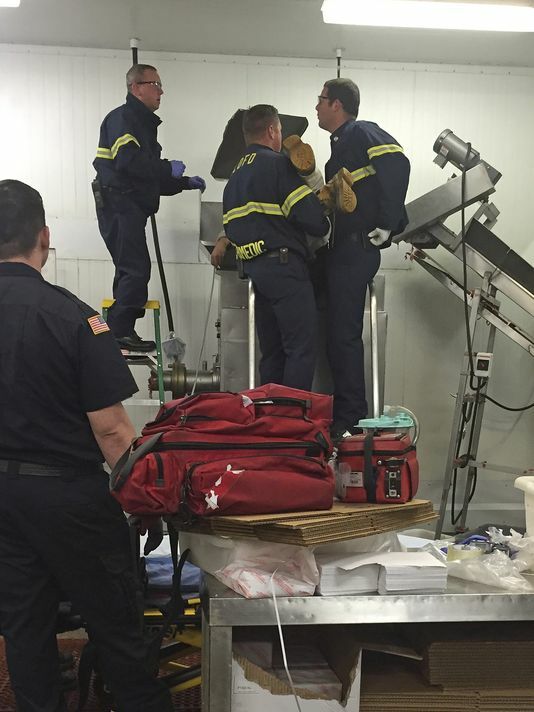 The accident happened Thursday at a meat processing plant in San Luis Obispo, California. The machine’s blades “came around and broke his arm and came around again and broke his arm a little further up the next turnaround,” San Luis Obispo Fire Battalion Chief Neal Berryman told CNN affiliate KEYT. Berryman told the affiliate the man’s head or neck would have been hit next. The man’s screaming alerted his coworker, who saw the victim’s legs protruding from the machine and switched it off in the nick of time. The man ended up in the predicament, when he tried to yank out some meat that was stuck, and got the long sleeve of his work coat caught in the machine’s inner workings, fire officials believe. The meat grinder then pulled him in. 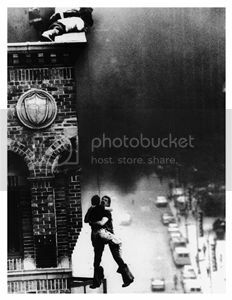 A picture taken by a firefighter shows the man entangled in the machine up to his waist — his legs pointed upward, with rescuers on all sides. Hydraulic tools had to be used to pull the blades apart and free the man, who survived his injuries.